There are many canal cruise options including hop-on-hop-off services, child-friendly adventures and intimate guided boat tours for smaller groups. If you are visiting with a partner why not try a romantic candlelit tour? There are many museums in Amsterdam but one you shouldn’t miss is the house where Anne Frank and her family hid from the Nazis during their occupation, now the Anne Frank Museum. In the hidden rooms at the rear of the 17th-century canal house, known as the Secret Annexe, Anne wrote her world-renowned diary. Walk through the hidden door behind the bookcase as described in Anne’s journal to view the permanent exhibition on the life and times of Anne Frank as well as an exhibition space about all forms of persecution and discrimination. Certainly, a humbling experience and one I am unlikely to forget. You can’t visit The Netherlands without marvelling at the extraordinary array of plants and flowers which they produce. 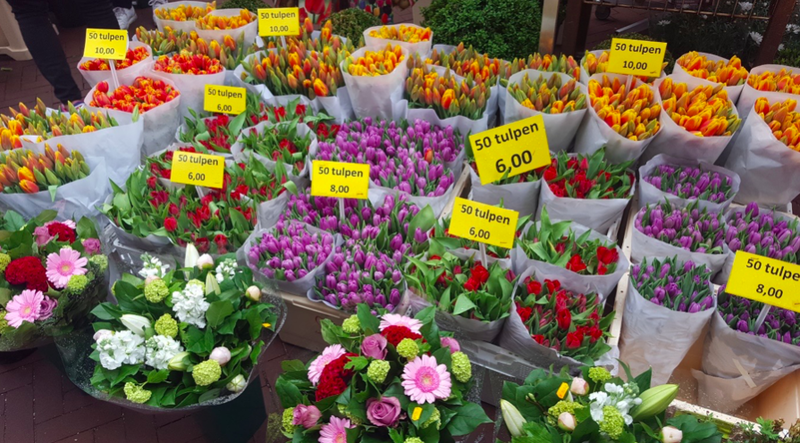 Amsterdam boasts the only floating flower market in the world, built on houseboats! Although it’s usually bustling with tourists, if you have green fingers you need to take a look. Founded in 1862 the market has a vast array of bouquets, single flowers or bulbs available to buy. You will find there all sorts of tulips, narcissus, geraniums, peonies and many other types of flowers in varieties you would never have seen before! 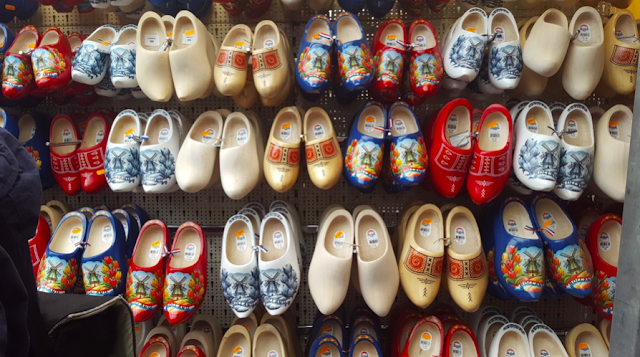 You will also find other souvenirs like clogs and Delftware ceramics. Amsterdam has many art galleries worth a visit, but my favourite is the Van Gogh Museum which showcases an extensive selection of works from throughout Van Gogh’s life including 200 paintings, 400 drawings and 700 letters! It also houses pieces by some of Van Gogh’s contemporaries. The museum, located in Museum Square in the south of the city near to the Stedelijk Museum, the Rijksmuseum and the Concertgebouw is made up of three floors each one representing a period in the artist’s life. Seeing the infamous Sunflowers (1889) in person is a must-see for any art lover. 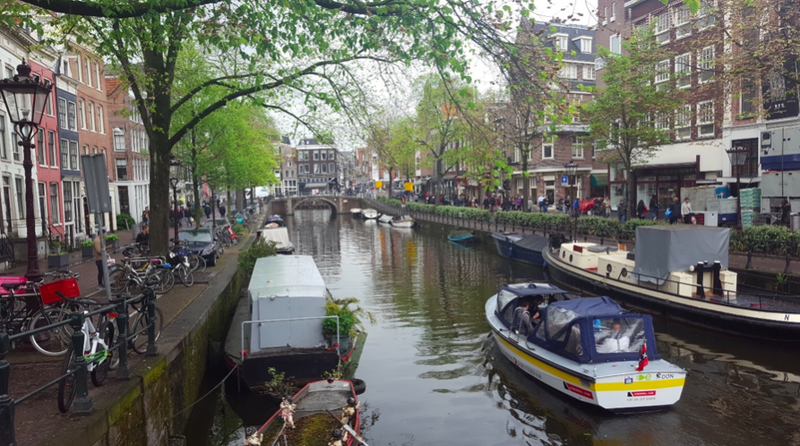 If you’re looking for an escape from the bustling city then pop into Amsterdam’s secret courtyard garden, the Begijnhof, for a breather. The picturesque garden is hidden from the main thoroughfare by surrounding traditional 16th century Dutch houses. The Begijnhof features a stunning little 15th century English Church which is one of the oldest buildings in the city. Opposite the church, is the smaller Begijnhof chapel where Catholics and Beguines attended in secret up until 1795. There seems like so much to do in Amsterdam & I have it on my bucket list of places to visit. Good tips on things to do there.